Boxed reps talked to 30 firms before deciding on LaunchSquad. NEW YORK: Wholesale delivery startup Boxed has selected LaunchSquad as its PR AOR. Boxed started the RFP process in January and talked with 30 firms before winnowing its choices down. Along with LaunchSquad, other semifinalists were Moxie Communications Group and Small Girls PR. "All three were really strong, but in the end LaunchSquad’s experience with consumer tech and ecommerce stood out to us," said CMO Jackson Jeyanayagam, who joined Boxed in November after serving as Chipotle Mexican Grill’s head of digital marketing for a year and a half. LaunchSquad officially begins working with Boxed in mid-March. LaunchSquad is handling all PR efforts for Boxed, including strategy, thought leadership, media relations, and content creation. "We want them to help us create more awareness for our brand and what we offer on the customer experience, technology, and the giving-back side," said Jeyanayagam. "We want to convey what we offer compared to other ecommerce sites." LaunchSquad VPs Mike Schroeder and Kei Hoshino are leading a team of four on the account. Schroeder told PRWeek that Boxed ultimately wants consumers to buy its products in bulk, but it also wants to be a company that lives and breathes by its values. For instance, CEO Chieh Huang pays up to $20,000 for staffers’ weddings and has a college fund for employees. "We want to identify and build a story around a company that can be a model for the business community today and believes in something that is right and fair," Schroeder says. 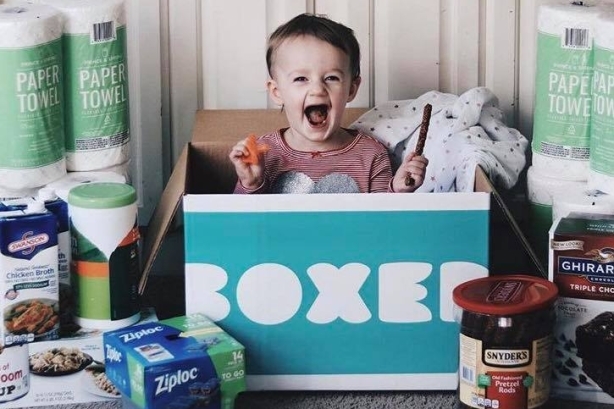 "There is an appetite for positive and inspiring leadership from companies and we are excited to work with Boxed to craft something around that while also being creative with how we reach their customers." Founded in 2013, Boxed allows consumers to shop for groceries and household products in bulk, with free delivery and no membership fees. Orders can be made on Boxed.com or on the Boxed app. Boxed is also seeking a firm that will create content across its social media channels and be a strategic partner in using them for earned and paid media. Additionally, the digital firm will help Boxed measure brand building and direct response campaigns effectively across digital and social. The two firms will work closely together. Budget information was not disclosed. The incumbent on the PR account, Maletzky Media, did not repitch for the account. It had worked on the business for the past year. "We very much enjoyed our relationship with the entire Boxed team and are proud of the work we did to help them achieve their PR goals of garnering high-level national media relations over the past year," Maletzky president Karyn Ravin told PRWeek in January. "We hope their future PR initiatives are as successful as the ones that we helped them to execute."